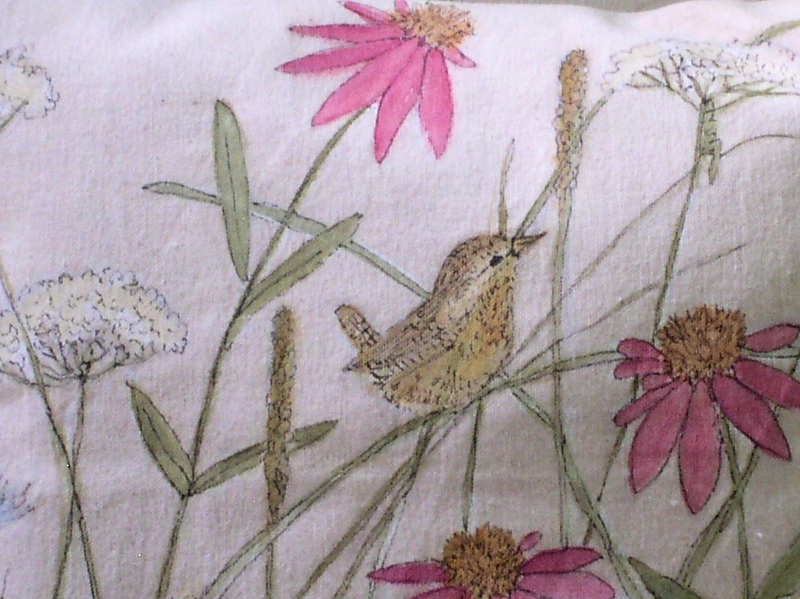 Hand painted pillow is functional art with wildflowers and garden pink flowers, queen ann lace, thistle and bird for cottage shabby chic home decor. Great to give to garden enthusiasts and bird lovers. 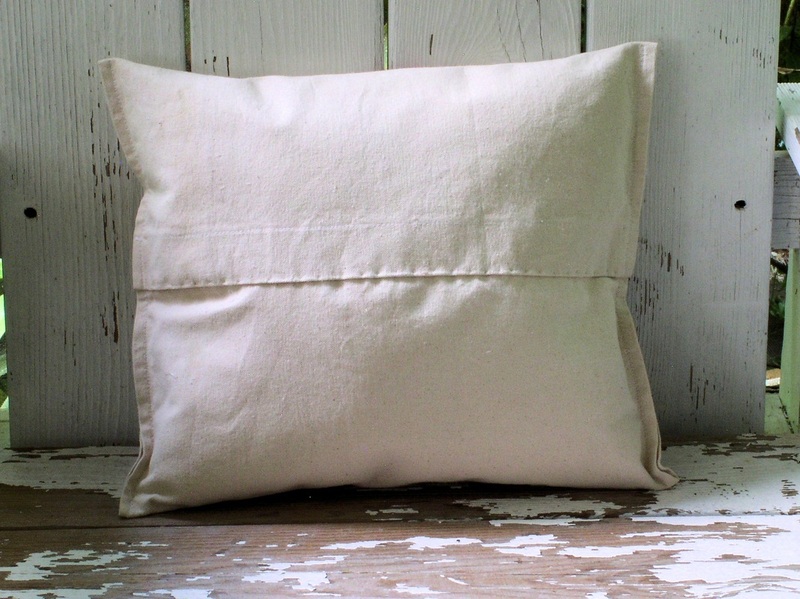 Made from cotton canvas is hand painted one of a kind original. 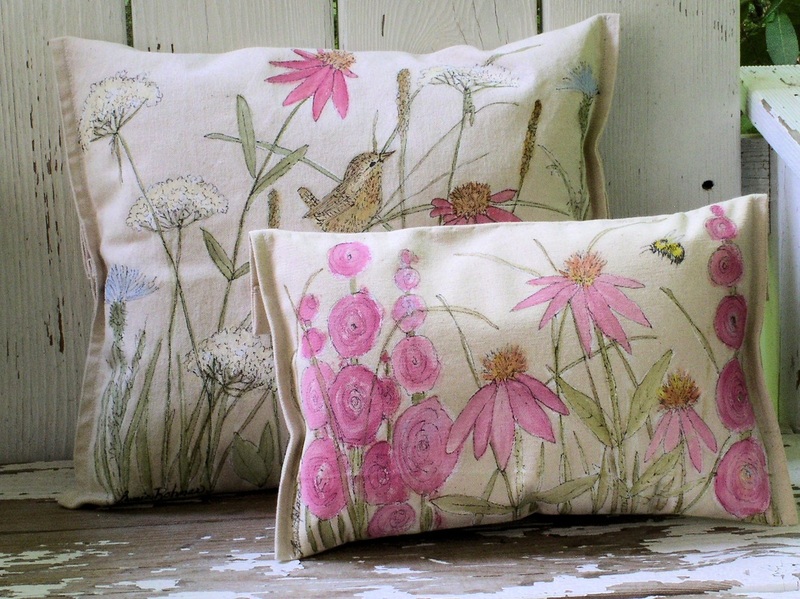 Functional nature art for bed or to accent any chair in a cottage, farmhouse or lover of flowers home. 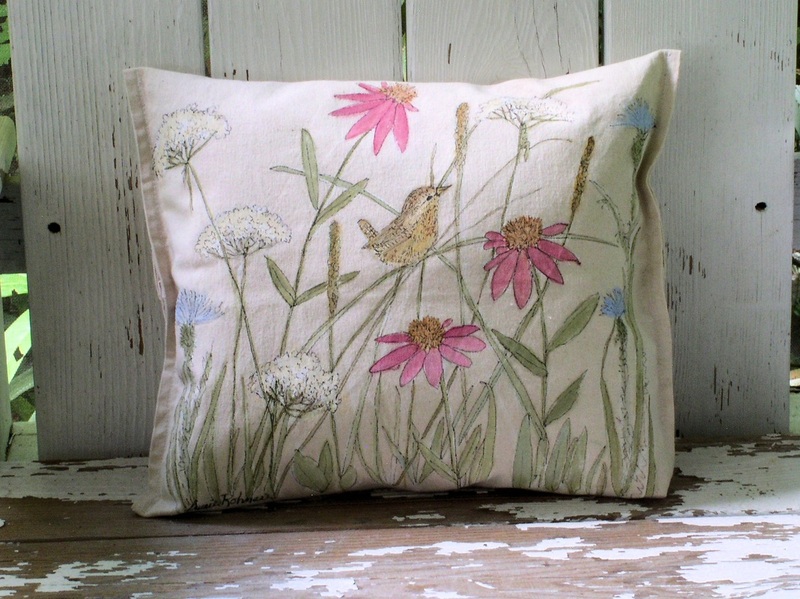 The front find a bird on a reed of grass, pink coneflowers and Queen Ann Lace, thistle among the grass. The back is plain. Smaller painted pillow also available.